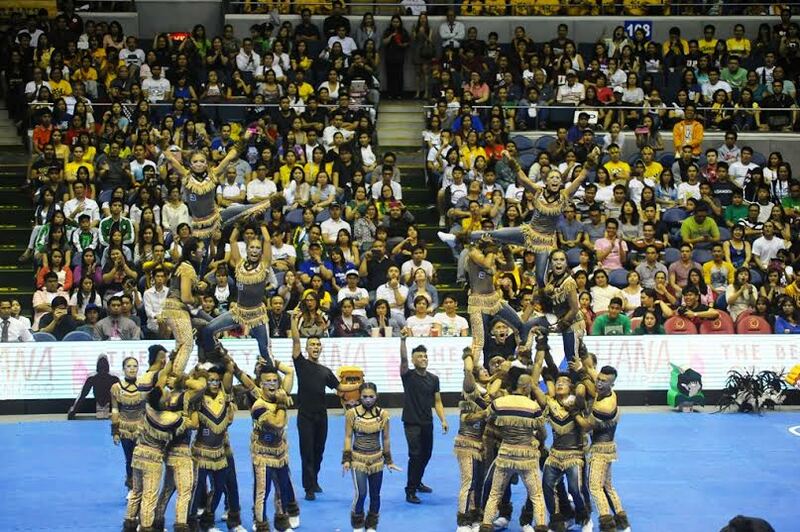 The ever-popular UAAP Cheerdance Competition will now face some tough odds this year. The 22nd edition of the event will now be held in the middle of the men’s basketball tournament, unlike in previous years where it was held at its conclusion. In addition, the event will be held on a Saturday, as opposed to Sundays in past editions. This means that the Cheerdance Competition will now have to take place on a day when some member schools still hold classes. But that’s not the only problem the event will face. The early portion of the Cheerdance Competition will take place while noontime shows ‘It’s Showtime’ and ‘Eat Bulaga’ are still ongoing. The highly-trending Pastillas Girl and AlDub skits are expected to make life tough for viewers of this year’s Cheerdance Competition, especially considering the combined 37 million tweets of both skits last Saturday. This does not mean that this year’s UAAP Cheerdance Competition will no longer be a juggernaut for netizens everywhere. With the help of a livestreaming service provided by ABS-CBN, there is still a possibility that the event would end up in Twitter’s trending topics. That said, a good challenge awaits the UAAP Cheerdance Competition this year. More than the performance of the eight cheering squads, the event is about making an impact amid all the odds stacked against it. The 2015 UAAP Cheerdance Competition will take place at the Mall of Asia Arena. It will air on ABS-CBN Sports+Action, Balls HD 195, iWanTV and ABS-CBN Sports official website beginning at 1:00 p.m.
Talagang magttrend ang UAAP because of McDonald’s promo in which the most school with tweets (in support of their own school) will have free medium french fries as long as they can show their ID that they study in that school currently on a certain period. Anyways, not everyone are interested in UAAP so some may still opt to watch EB or It’s Showtime during this period of time. Another factor is that many schools are suspended today. So, there is a big chance some schools may hold a make up class tomorrow on the day of UAAP CDC. And besides, the Cheerdance ran unopposed when it was held on Sundays. Now that it was scheduled tomorrow, it’s a big dilemma considering the competition on that given day. The following day, will be exciting too. First round match of Ateneo and La Salle at 4pm. The only good thing about it is that they’ll have no major opposition. Yung Cheerdance talaga ang magiging problema kasi naka-scheduled ito sa araw na may pasok ang mga estudyante at may competition sa TV. Now the viewers of the UAAP have to do some critical interest thinking of whether to prioritize their fandom for Aldub or sports. Too bad that some UAAP fans became fans of the ever-popular Aldub. They can just watch AlDub and the Cheerdance at the same time, provided they have internet. Indeed. Plus AlDub would finish first before the UAAP CDC. This means after they watch AlDub, they can switch to UAAP if they want to. I know this is out of the topic for this article, but I just noticed that some UAAP games (for Men’s Basketball) are not played on 2pm spots. Some games are played on 11 AM while some games are played at 12 noon or at 1pm. ICYDK, they’ve been doing this since 2009 for doubleheaders that have an Ateneo-La Salle game, as well as some games of greater importance such as late second round and Final Four games. The reason behind it is to attract more fans. UAAP at this point is becoming more popular, hence the move. Even women’s volleyball is now doing the same whenever Ateneo and La Salle meet. Well expect some primetime games in the final 4 lalo katapat na nila ang PBA because of the many changes schedule wise both in academic and in Sports due to the ASEAN Integration. That depends on ABS-CBN Sports and the UAAP, as well as the availability of the venues.